It's Australia Day, everyone! Controversial as the day is (do we really have to have to celebrate Australia as a nation on the same day that marked the invasion of Aboriginal land?) it is nonetheless a day to celebrate the country, and everything that makes is a great place to live. Related reading: If the Government was sincere about improving Australia's economy, it would invest in game development. Of course, that means we're going to bust our some of our Australian-developed games to enjoy just how great our local games industry is. And it really is a good one; despite being small and badly underfunded by the government, the quality of what our developers turns out is just incredible. We're looking forward to a great year ahead for Australian-developed games, but in the meantime, here are ten, available on current platforms, that you can enjoy right now. 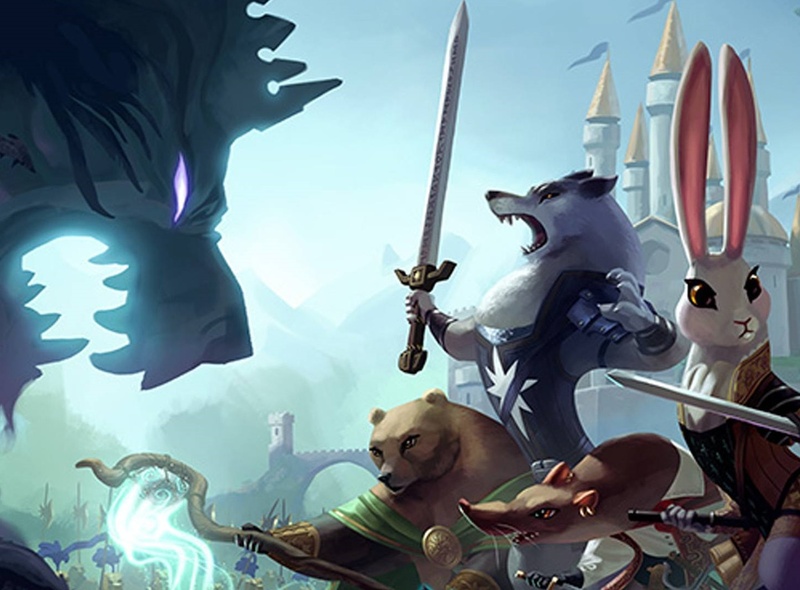 One of the finest digital board games you'll ever play, Armello has it all; deep, complex systems, a gorgeous setting with lovely characters, and plenty (and plenty) of challenge. 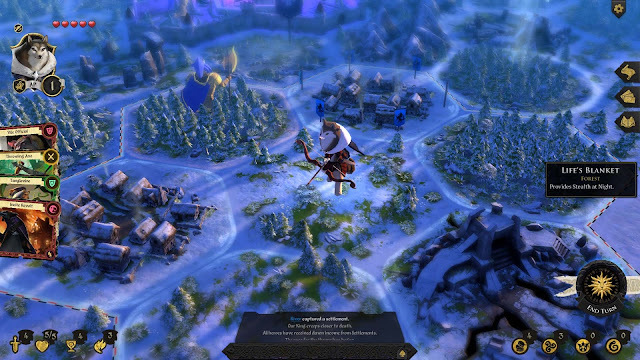 If you think of Civilization meets RPG meets The Animals of Farthing Wood, then you're kinda sorta on your way to understanding what Armello's about. This is the kind of game that you can easily spend an entire day playing, either by yourself or with friends, and that makes it the perfect Australia Day game. The ultimate time waster, Crossy Road was already a good game, but Disney Crossy Road takes things too 11. 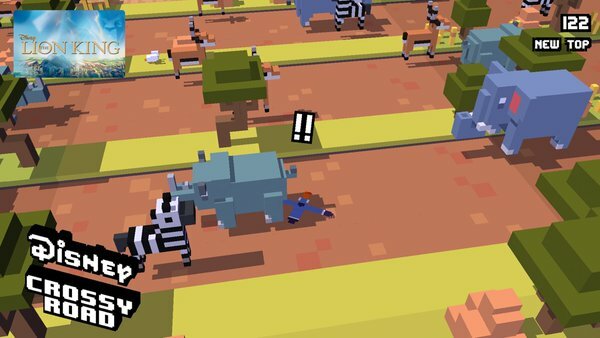 In the original Crossy Road you only ever had one level to play on, but in this one, there are many, many different levels, all based on famous Disney franchises, and each one introduces different mechanics and traps to try and navigate around on your way to a high score. Throw in every Disney character you can think of, and you've got the perfect game to play while on the way to Australia Day parties, or to distract you while you've got the tennis on in the background. Coming to us from everyone's favourite local dev/publisher, Nnooo, Blast 'em Bunnies is a fun throwback to gun games of arcades of old. 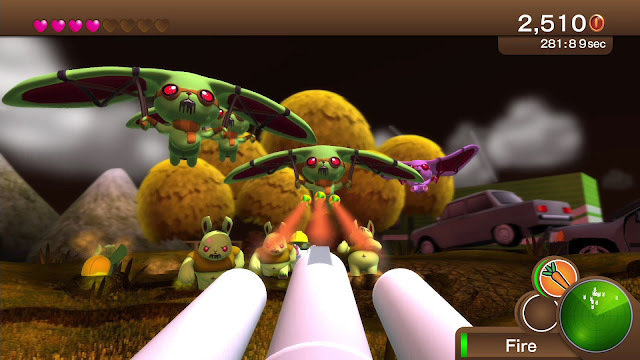 You've got a bunny with a big gun, and a 360 degree space to protect from an onslaught of killer bunnies. The action doesn't take long to get fast and frenetic, and we do love this game a great deal at DDNet. 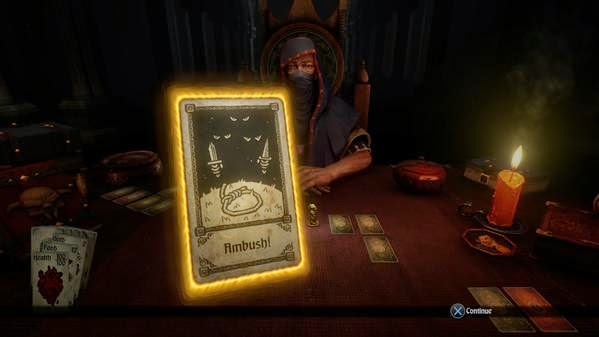 What a fascinating game Hand of Fate is. Thing tarot mixed with RPG and choose-your-own-adventure games, and you're not far off what this one offers. There's a deck of cards, with both positive and negative effects on them - some reward you with loot, while others are traps and monsters to kill. These cards are arranged, face down, on a table, and you need to navigate a piece through the card mazes, delving ever deeper and coming up against ever more powerful enemies. Once you get going with this one, it's really hard to stop, and it's a good idea to get into this one now, as the sequel is due out this year, and it's genuinely looking like one of the most exciting games of the year. This speed runner platformer is all kinds of slick; players are tasked with delivering pizza as quickly as possible, and will need to free run their way past enemies and obstacles, while picking the best possible path to get to the customer's home. Along the way there's also a narrative that is equal parts humour (guys keep answering the door to get their pizza without pants), and serious discussion on bullying. It is a really charming little game. 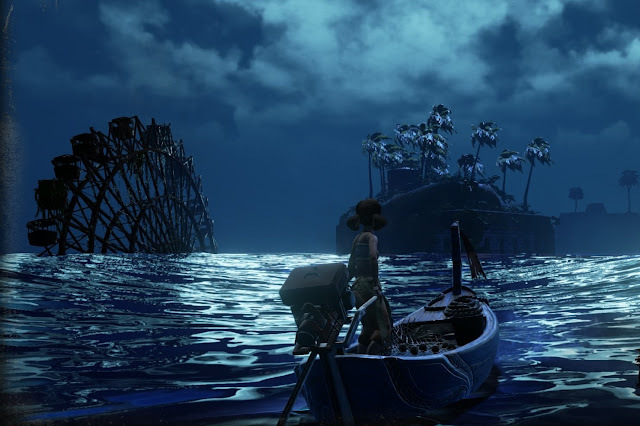 The most beautiful game produced in Australia, Submerged is a breathtaking exploration adventure game about a girl that's trying to save her sick brother in a world that has been drowned following the melting of the polar ice caps. Yes, it's got some strong messages in there about climate change and the impact that humans have on the environment, and its backed with stunning art and hauntingly beautiful music. Some might be disappointed by the lack of "danger" and "action," but such things would have distracted from the simply joy of exploring this world. Australia Day, being a public holiday, is a great day for getting stuck right in to some local multiplayer action with friends and family, and Screencheat is one of the best games at all for that. Everyone has fond memories of playing split screen FPSers like Goldeneye, where people would inevitably yell at one another for "cheating" by looking at that other persons's quadrant of the screen to figure out where they were and where they were moving. 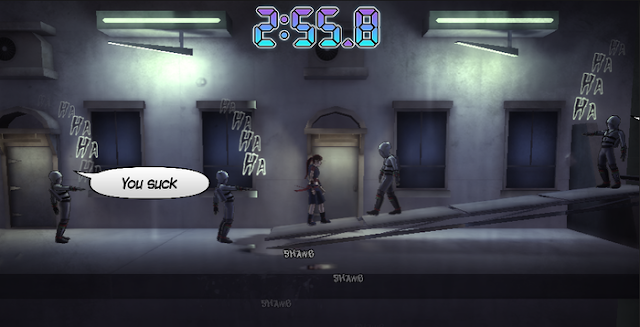 Screencheat turns this "cheating" into a feature by making all the players invisible on the screen. The only way to figure out where they are is by looking at their corner of the screen to position them relative to the background and scenery. 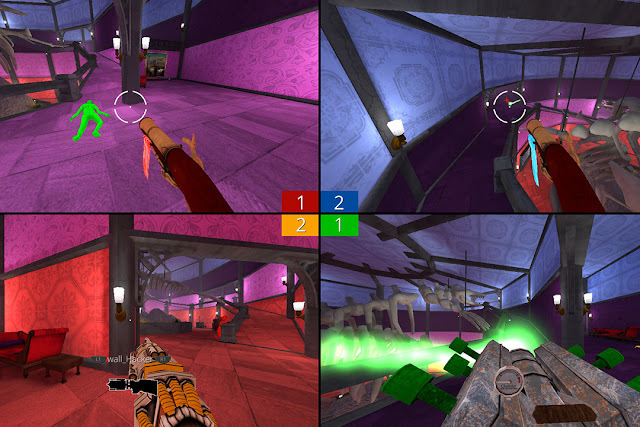 The result is not just a really fun shooter; it's one of the highest skill-based multiplayer games you can find. Tin Man Games has, for the longest time now, been the leading developer of digital Gamebooks; everyone remembers those days of choose-you-own-adventure RPGs, like Fighting Fantasy and Lone Wolf, where you'd read a passage of a book, have a couple of different choices to take, and then flip through the book to the pages that those choices directed you to in order to read on. Sometimes you'd even get to fight in some combat by rolling some dice. They were single player RPGs for people that couldn't pull together a group for some Dungeons & Dragons action. 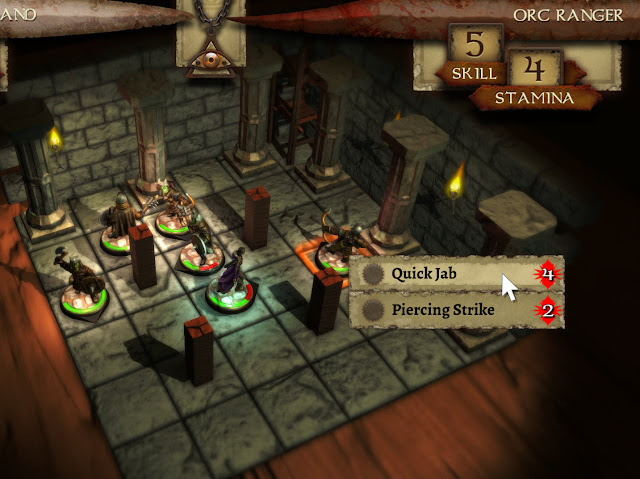 With Warlock of Firetop Mountain, Tin Man Games has taken one of the most popular gamebooks of all, and turned it into a digital board game. It's brilliant. 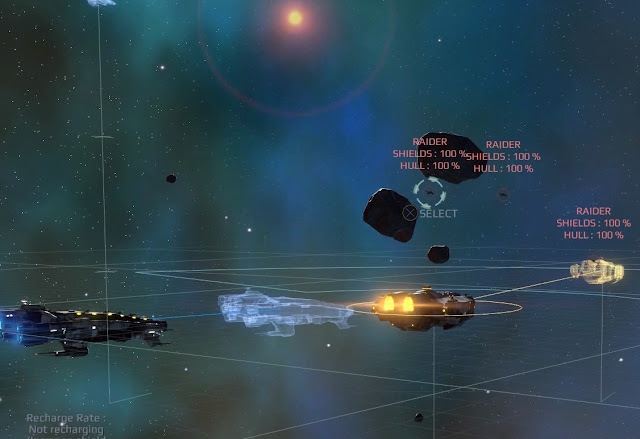 This brilliant little tactics strategy game gives players a lot of intellectually interesting space battles. Unlike most tactics games, where you'll issue orders to your side, and then the other side will take its turn, and so on and so forth, in Star Hammer, both sides issue orders at the same time, and then, when the "play" button is pressed, both sets of orders are undertaken at once. Trying to predict how your opponent will move, and then counter it, is far more intense in this game than standard tactics games, and being set in space, the freedom that you have to move your ships around in all directions makes for some brilliant cat-and-mouse strategy at times. Truly one of the most underrated games available on both console and PC. Last by not least is a game that doesn't look like it was made in Australia, but it certainly was. Max's Big Bust is a super-fanservicey visual novel that comes from regional Australia, and it's just wonderful. Lovely girls, lovely art, and a fun, light hearted story all combine to make a game that is fairly unique to Australian game development, but so very worthwhile. So, what Aussie games are you going to play to celebrate Australia Day?